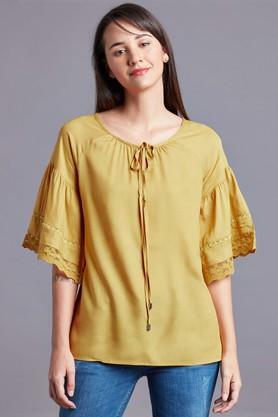 Channel smart looks in your casual wardrobe with this top from Mineral. Made from rayon fabric, it will provide you with immense comfort throughout the day. 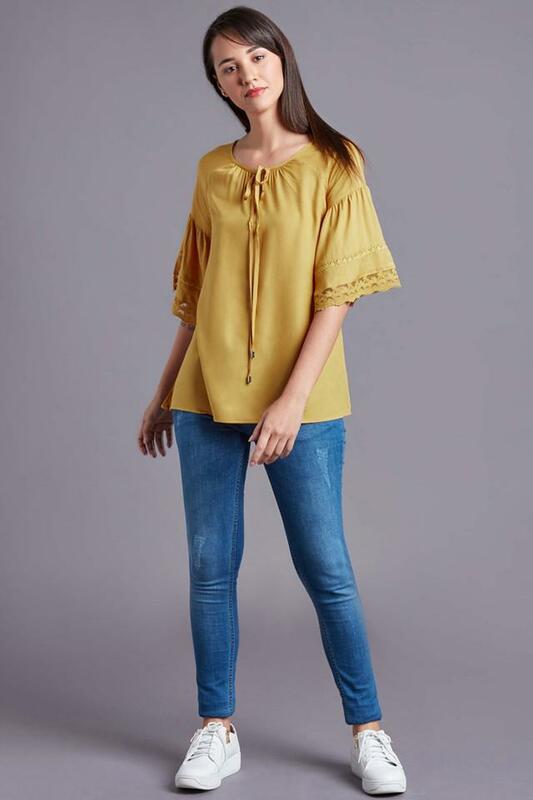 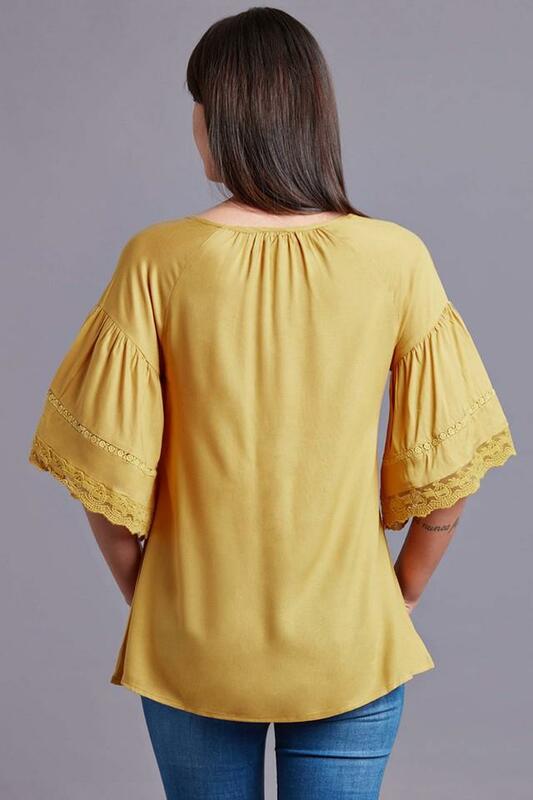 Featuring a tie up neck, bell sleeves and solid pattern, this top possesses a stunning dash.